We’ve already established that I’m a big fan of holiday garland/banners! 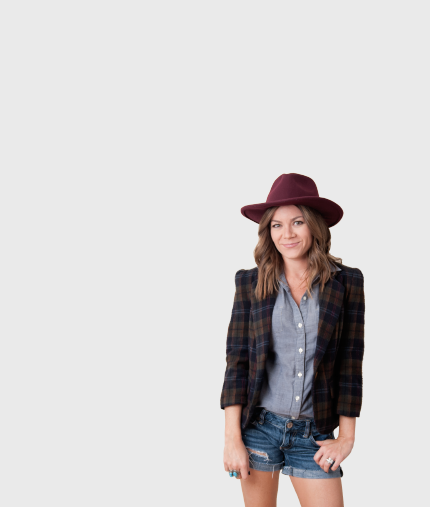 So I won’t go on and on again about how they’re the easiest way to decorate for any holiday. But I will say this: it’s spring break week in north Florida, and if the weather doesn’t cooperate we will be doing a crafty project… or 10. In case you find yourself in a similar situation (or just love holiday decor!) 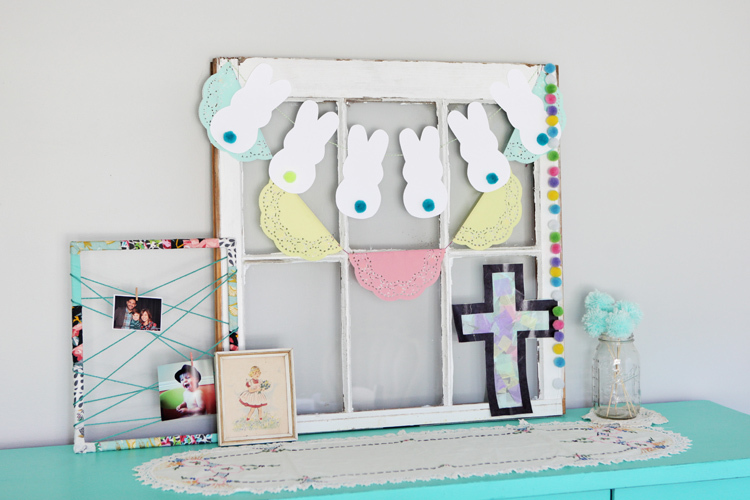 here’s an easy Easter Bunny garland for you to make this week! Step 1.) 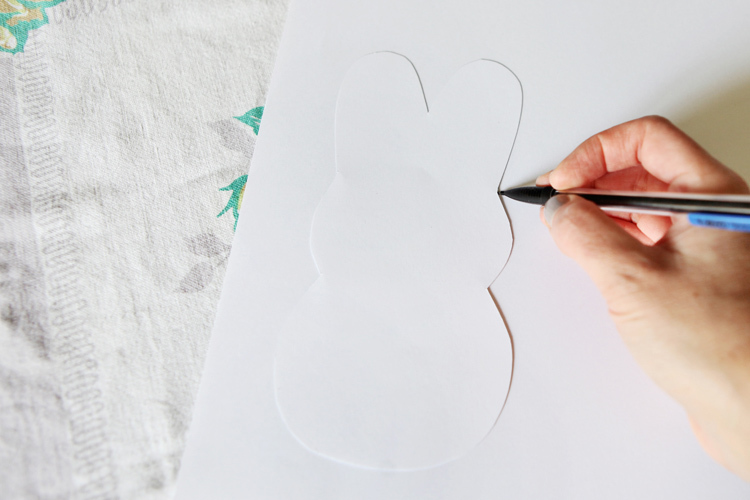 Download the bunny template here. I made it “fluffy” like a Peep. 🙂 Print on cardstock paper then cut it out to use as your template. Step 2.) 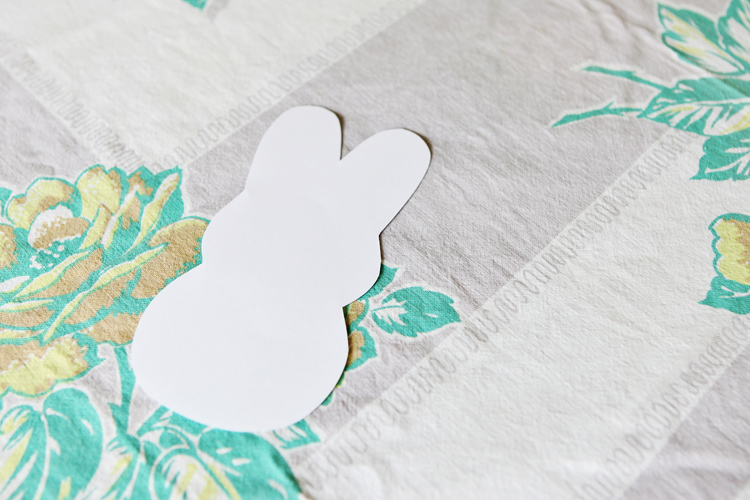 Trace the bunny multiple times on cardstock. (You can use colored paper if you want!) I used 6 bunnies for the garland in my dining room. Step 3.) Cut out all of your bunnies. My little helper was excited to get involved when he saw the scissors! Step 4.) The best part – decorate your bunnies! I kept it simple by gluing pom pom “tails” to each one. You could also let your kids color them or add “Peep” style faces with black markers! Step 5.) Flip your bunnies over (face down) and tape a piece of twine, yarn, or ribbon to the back of the bunnies, creating the garland.